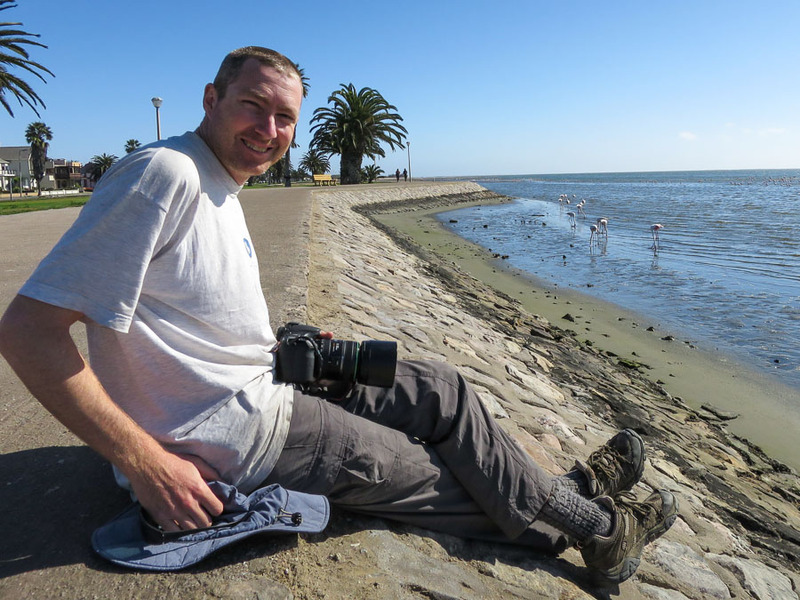 In September 2015 Tom & I headed to Southern Africa for 3 weeks. 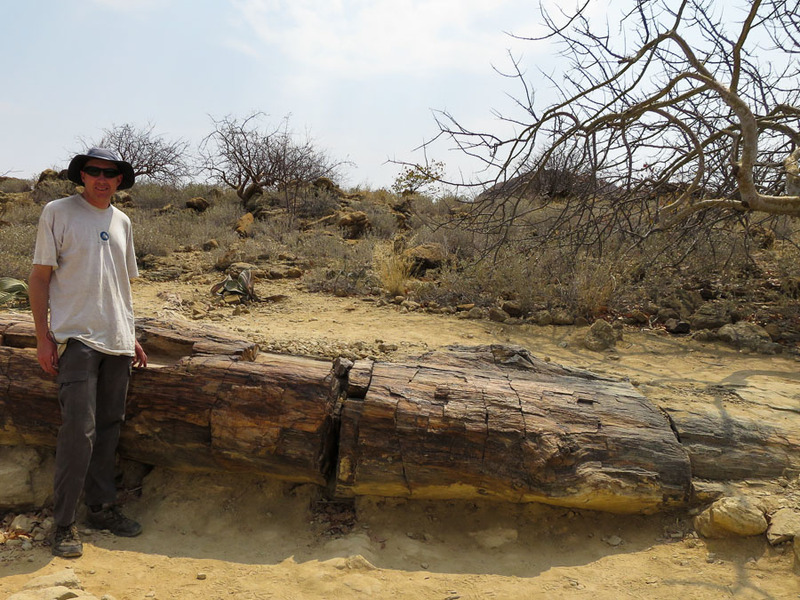 Our first 12 days were spent in Namibia. 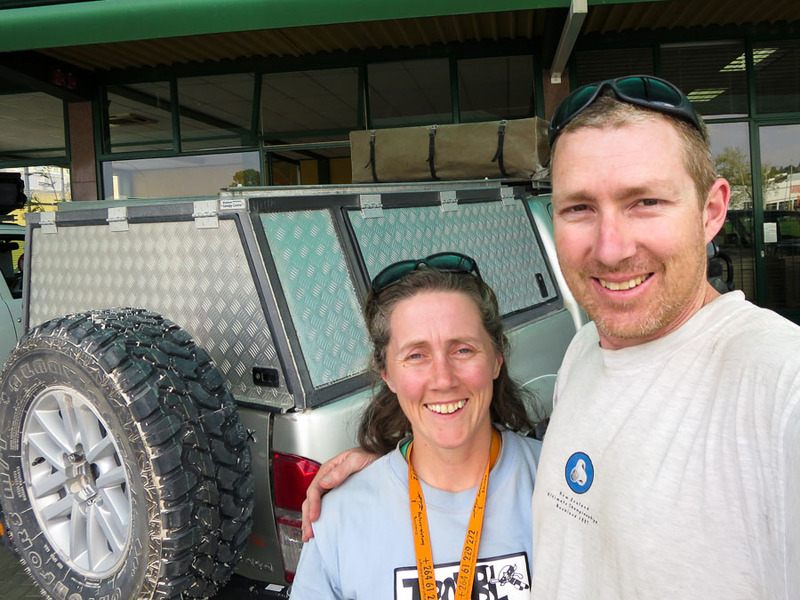 We hired a 4WD with a roof tent and hit the road. 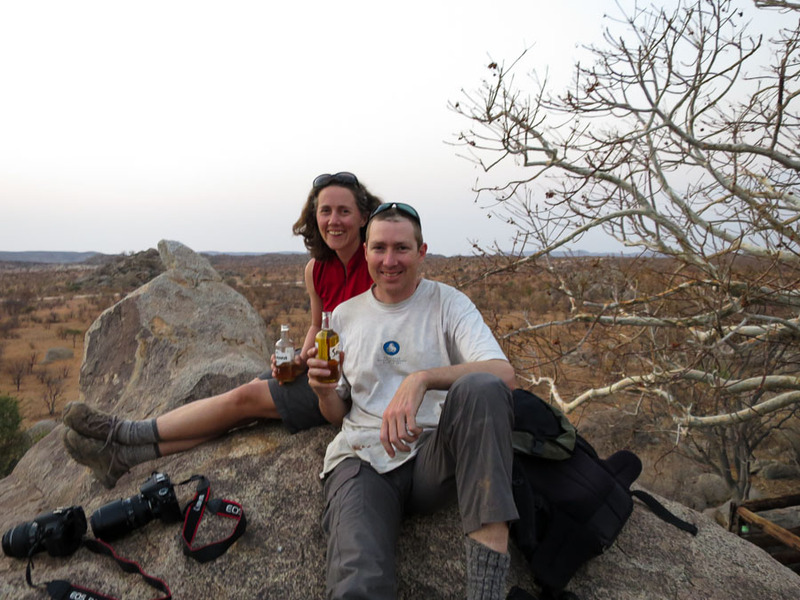 We learnt our lesson from Utah a couple of years earlier, and enjoyed having a night in a bed in Windhoek rather than trying to drive anywhere after 24+ hours of travel and a 9 hour time change. 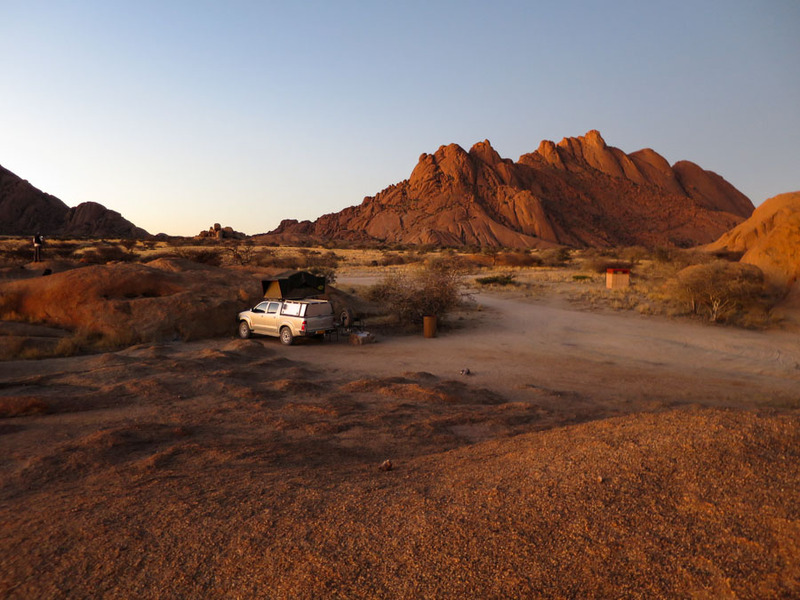 Confusingly Namibia is the only country in Southern Africa to observe daylight savings and the time changed the first night we were there to put us back to an 8 hour difference. Bonus. 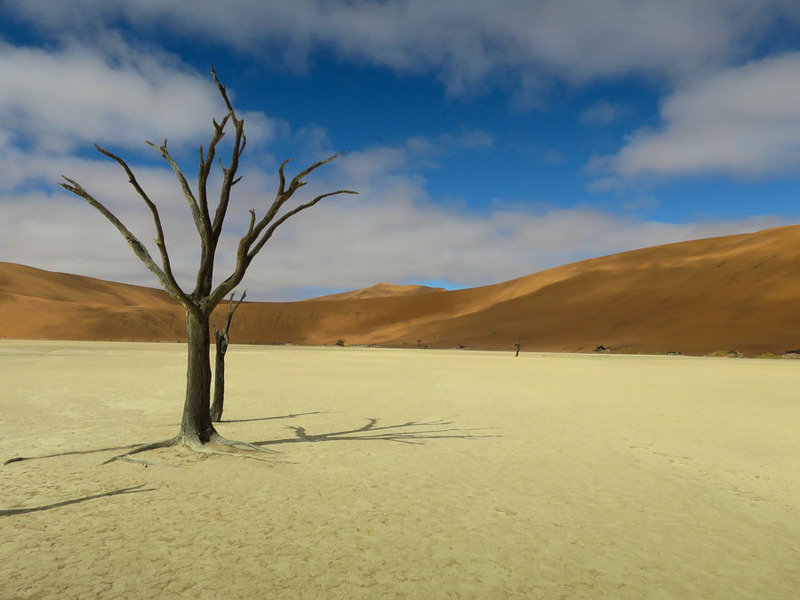 The next morning we headed for Sossusvlei via the scenic Spreetshoogte Pass. We had about half an hour of tarmac before we hit the dirt. The roads were generally well-graded and we could comfortably cruise along at 80km/h. At Sesriem we bedded down early as we planned to get out to the dunes for sunrise (or as early as we could given the internal park gate opened at 6am). As it was our first time packing up the roof tent, and it was going to be in the dark, we left ourselves plenty of time. So much so that we were ready at 5:40am so we figured we’d head to the gate and wait… except the gate was already open. Off we headed into the thick soupy fog which made driving very tricky! The fog also put paid to any visible sunrise, though we did get to share whatever it was with about 50 other people at Dune 45. 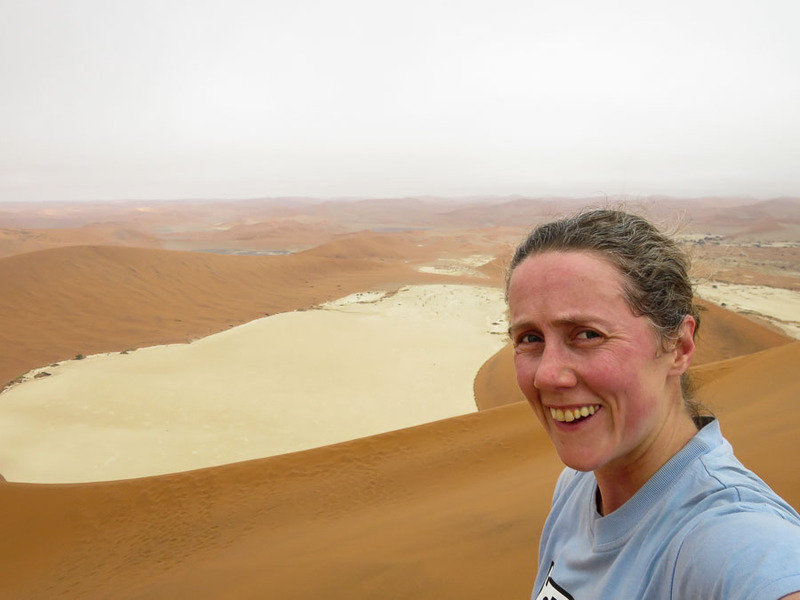 We soon continued on to Sossusvlei where I bravely decided to tackle the ‘4WD only’ section from the 2WD car park. Fortunately Tom had insisted we put the car into 4WD mode before I started driving as I had badly misjudged how thick the sand was going to be. We got through the 5km but not without a few nervous moments for both the driver and passenger. We enjoyed a solitary breakfast but just as we finished up the hordes began arriving. 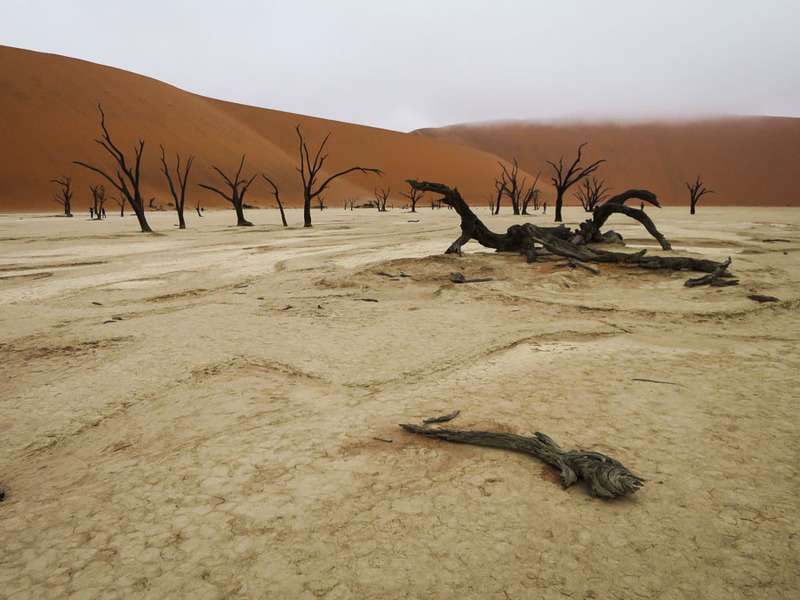 Deadvlei was pretty cool – a clay pan studded with blackened dead trees, surrounded by huge sand dunes. It was still clouded over which made it feel extra surreal. 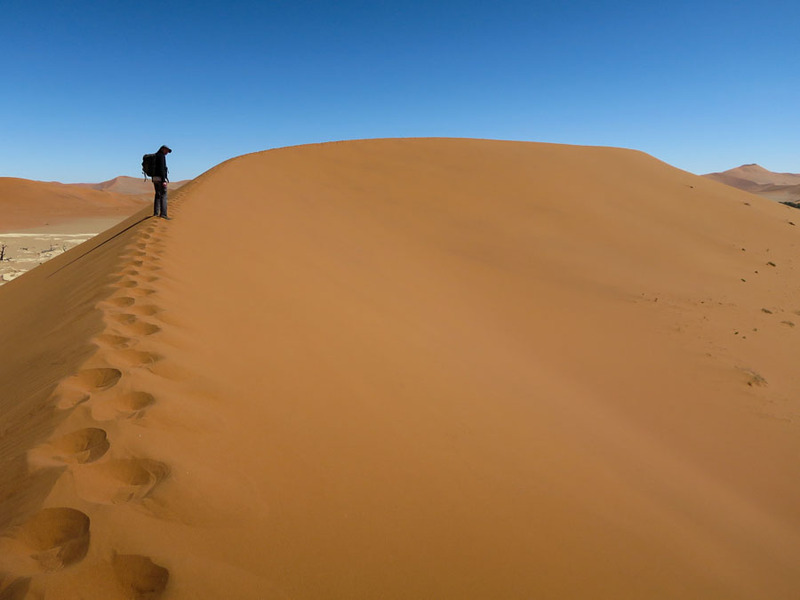 Taking advantage of the cool temperatures I decided to climb the massive dune (“Big Daddy”) at the head of the pan. Over 300m high – though of course when climbing sand you’re mainly going 2 steps up 1 step back – it was pretty hard work. In the steepest section I was reduced to doing 30 steps, 30 seconds rest, repeat. Interval training? The views at the top were great, and then I proceeded to bum slide back to the bottom. The sun eventually poked out and changed the colours completely. It is such incredible landscape. Both driver and passenger were much happier with Tom taking the wheel for the drive back to the 2WD carpark where we hung out in the shade for a few hours. 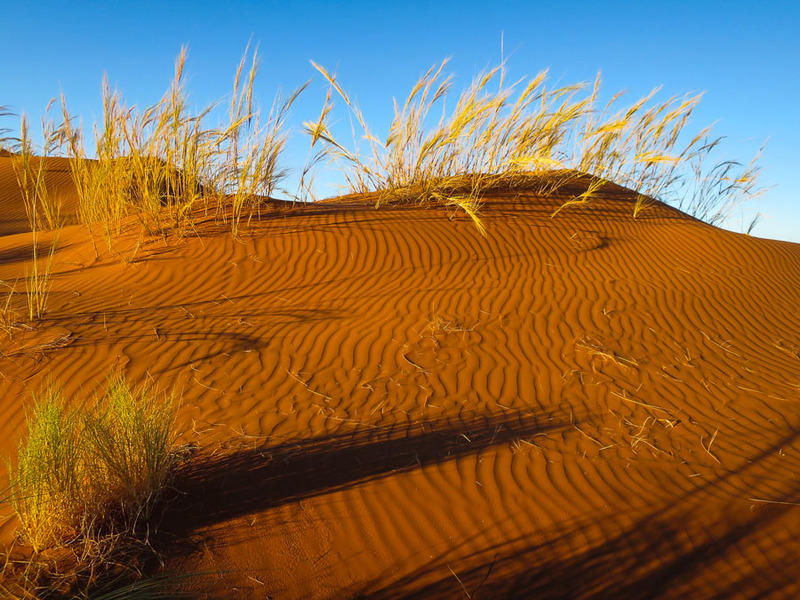 Later in the afternoon we walked to Hidden Vlei and took in some more of the desert landscape before a late afternoon stop at Dune 45. Not quite so early the following morning we visited Sesriem Canyon. 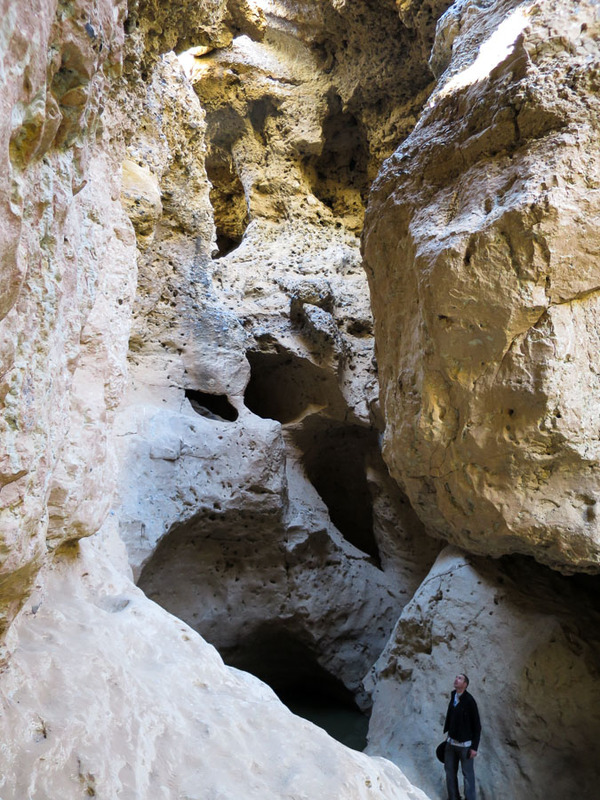 I wasn’t expecting much, so was pleasantly surprised it was actually a slot canyon. 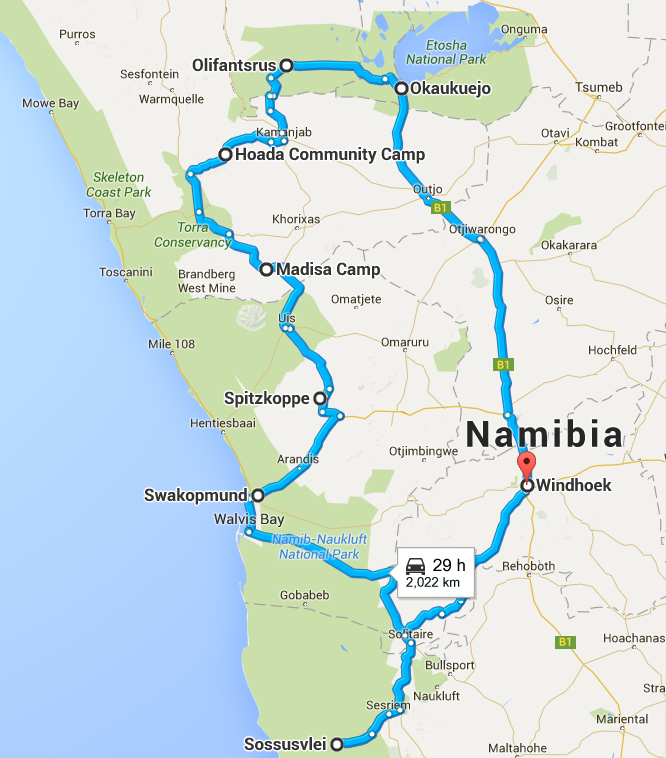 We meandered through it for a while before starting the long drive to Swakopmund. The drive was broken in Solitaire where there was supposedly amazing Apple Strudel sold. I was sceptical that it was one of these things that all the tourists get told to do but it was actually pretty good. 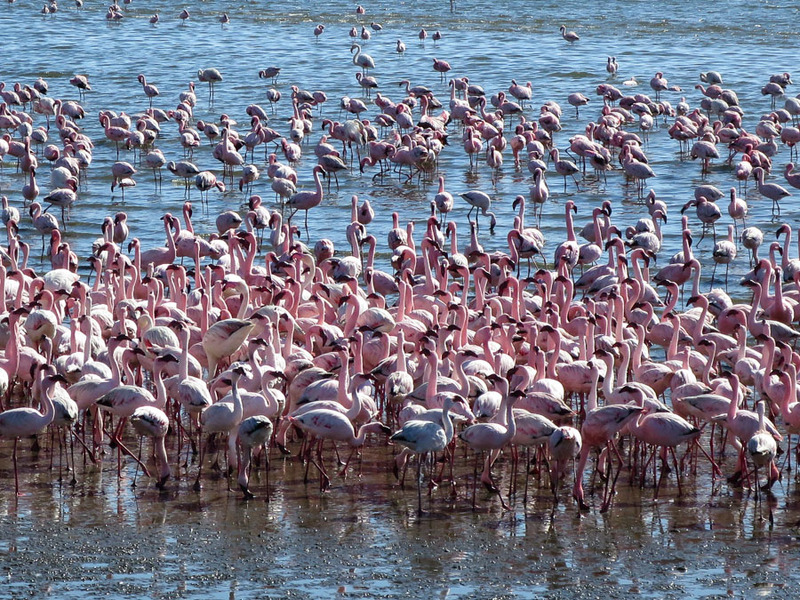 Walvis Bay was a detour, where we found the flamingos and spent the best part of an hour photographing them. 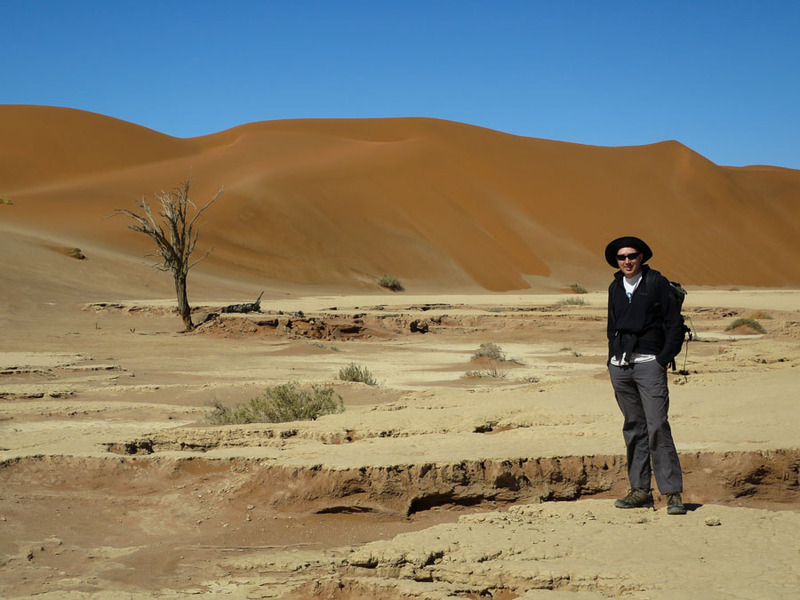 After all the sand in the Namib Desert we were happy that we’d been booked into a lovely B&B for the night. The morning was spent restocking, getting permits and buying bird/mammal field guides. 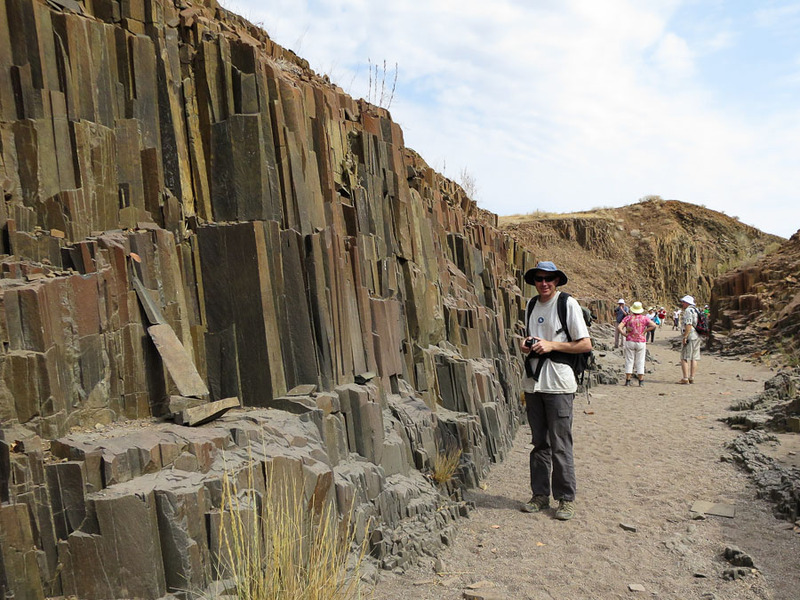 We finally got away around midday and headed for the Welwitschia Plains. 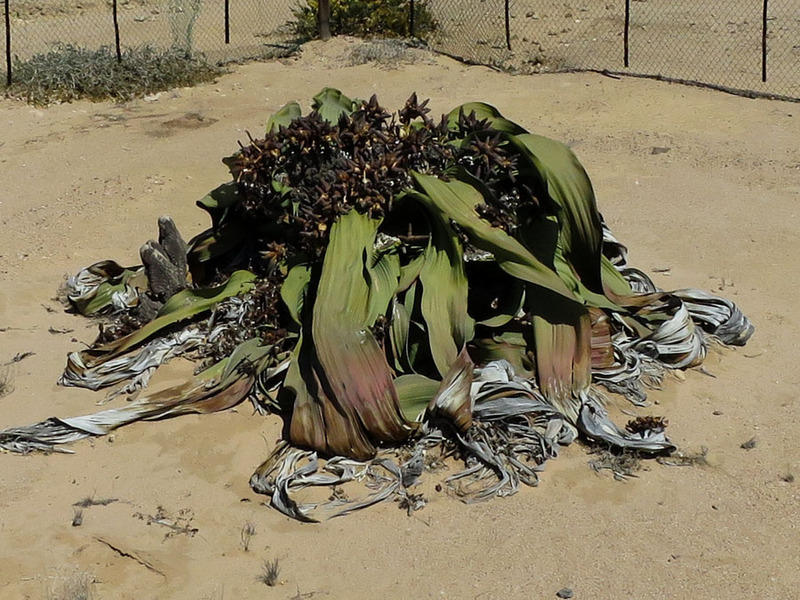 The Welwitschia plant is quite curious and the surrounding moonscape was spectacular. 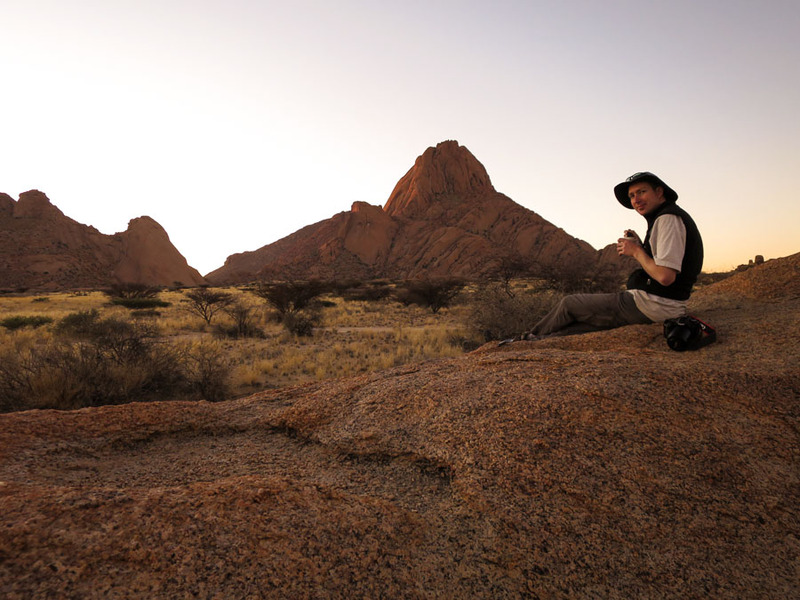 Then on to Spitzkoppe our destination for the night. 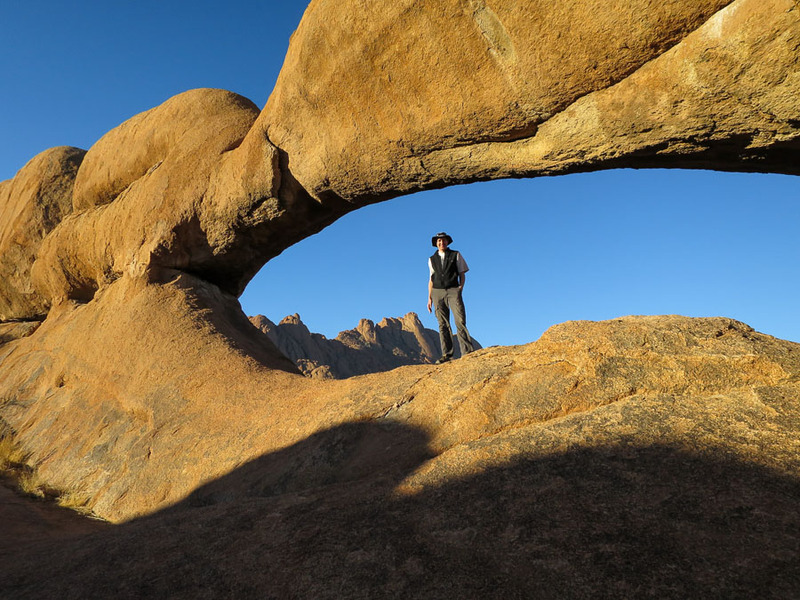 Spitzkoppe is a dramatic granite peak which rises distinctly out of the flat plains. Next to it are the Pontok Mountains which are also spectacular. 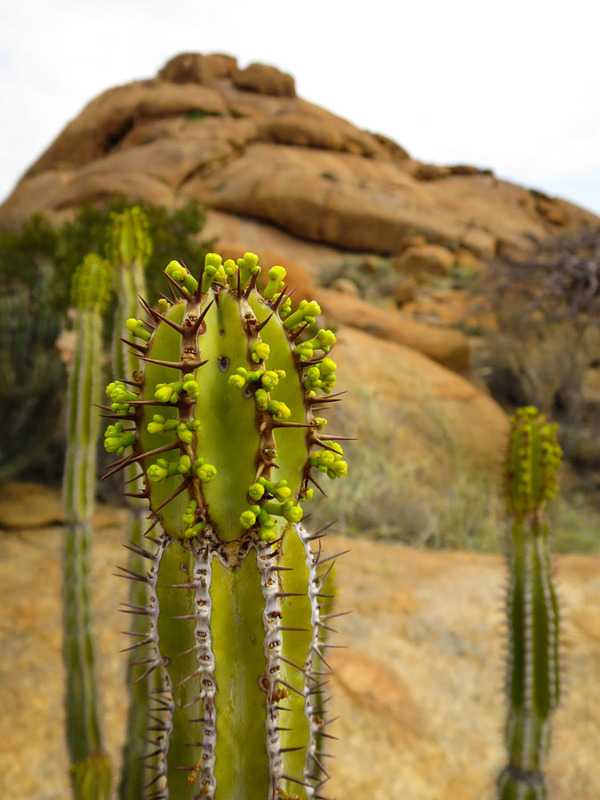 The camping areas were well spread out nestled into the rock outcrops around the area. We arrived in time for plenty of photo-taking, which extended well into the evening as Tom wanted to play around with his flashes and some star photography… Yes, the results are probably worth it but I got bored halfway through and went and had a cup of tea. 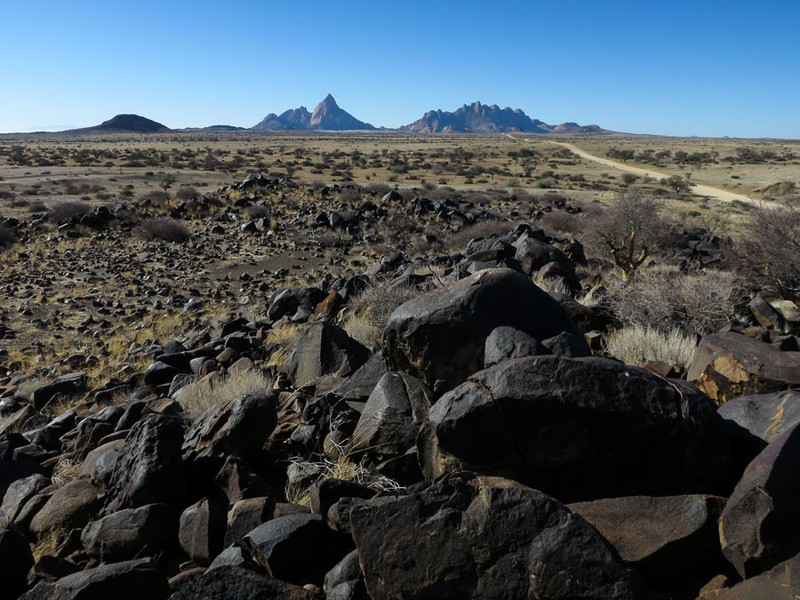 The next day we took a guided walk to ‘Bushman Paradise’ – unfortunately the rock art wasn’t in great condition but the views from the walk were excellent. 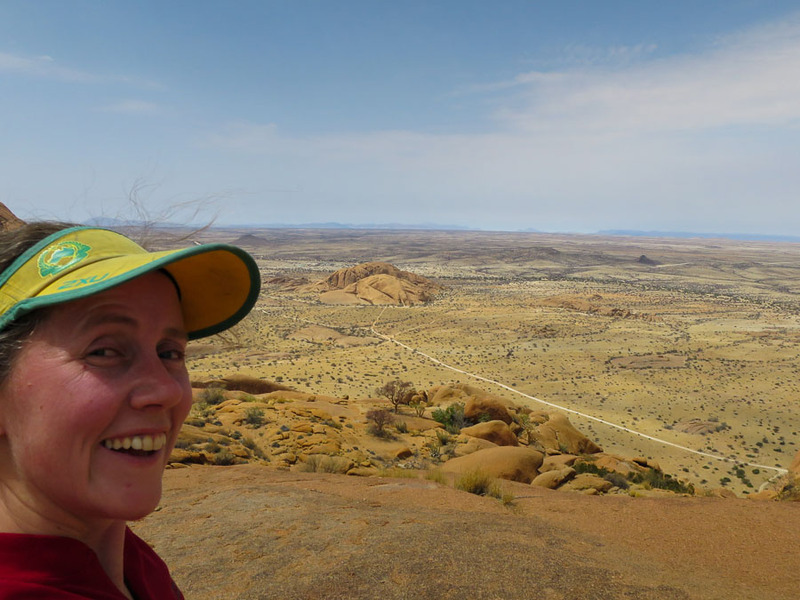 I was keen to get as far up Spitzkoppe as I could (to get to the summit requires proper rock climbing) but Tom decided his foot wasn’t up for it, so I left him trying (in vain?) to photograph dassies (hyrax). My first attempt ended up being a climbing approach route and I got funnelled to the base of a climb (complete with shiny new bolts) rather than the saddle. We moved around to the other side of the peak where there was a much easier approach, though by this point it was around midday and fairly warm. 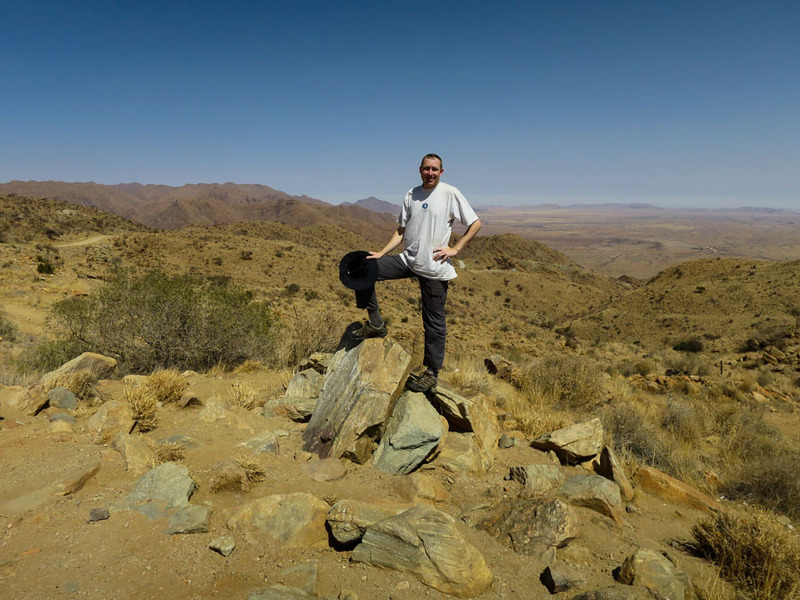 I made it up to the saddle, with what seemed enormous effort towards the end, took in the views and a few photographs before heading back to Tom. 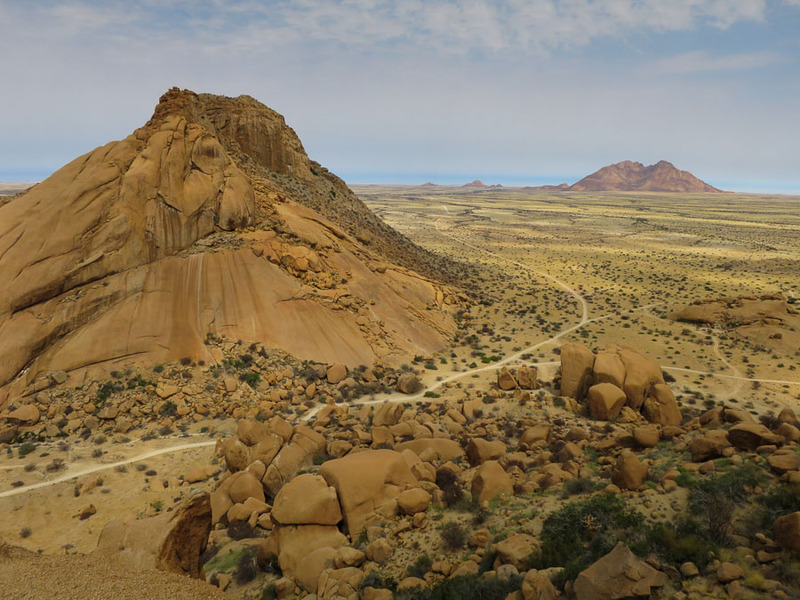 With the exploring at Spitzkoppe we didn’t get to The Brandberg, home of the “White Lady” until 4pm. We hadn’t realised the walk to the “White Lady” was ~2 hours return – sunset was around 7pm and we still an hour of driving to get to camp. We ummed and ahhed and when pushed our guide said 5km so we figured we could probably do it in less than 2 hours so off we went. 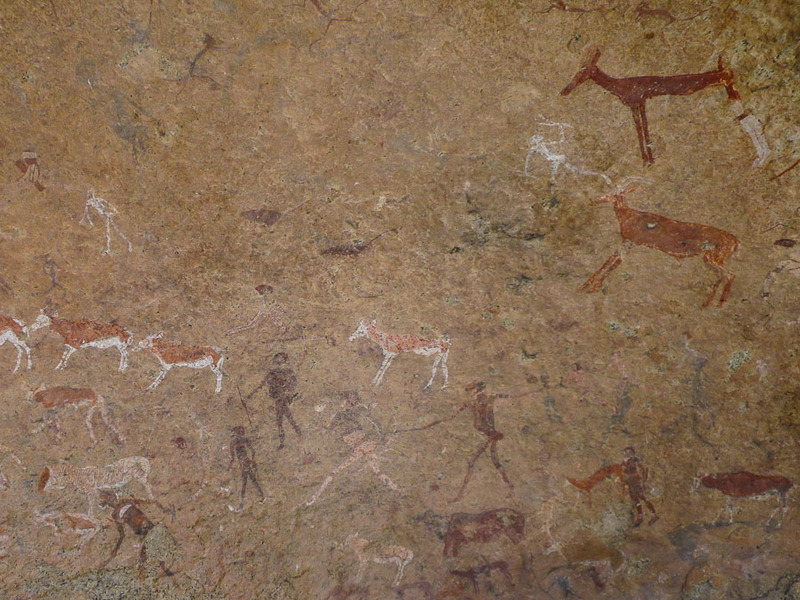 The “White Lady” is in fact a drawing of a male witch doctor surrounded by plenty of other rock art in far better condition than the Bushman Paradise collection. Quite incredible. 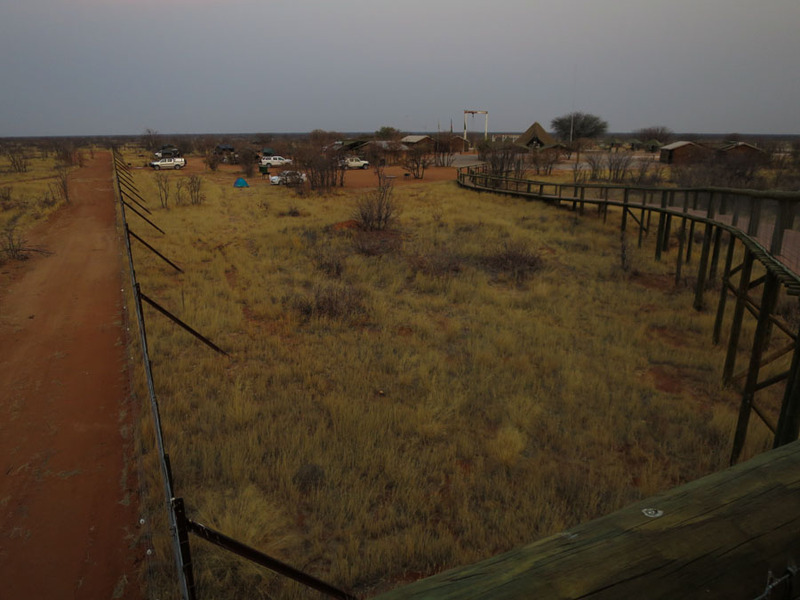 From there it was an increasingly dark/anxious drive to get to Madisa Campsite without hitting any wildlife. We arrived just as it was getting properly dark and we felt guilty that Wayne our host had likely just been sitting around waiting for us. 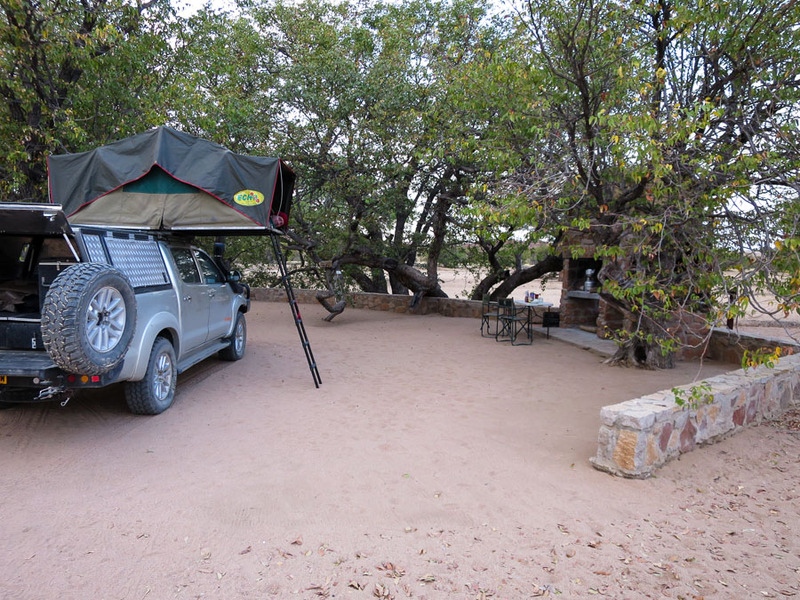 We soon had the roof tent set up, and I enjoyed the open air, cold (by choice) shower. No sign of the desert-adapted elephants which sometimes pass through camp. The next day was meant to be a short day. But with visiting the Organ Pipes/Burnt Mountain (the only thing we visited and paid for that felt like complete tourist gouging), Twyfelfontein, the (official) Petrified Forest and having to detour into Khorixas to re-fuel and get cash we found ourselves yet again chasing sunset on our way to Hoada Campsite. We arrived a little earlier than the previous day – maybe 20 minutes before sunset. Just enough time to park the car and walk back to reception and the amazing bar they’ve built up in a granite outcrop with wonderful views. A cold cider went down very well! And it was good to chat with some of the other guests who were staying there. 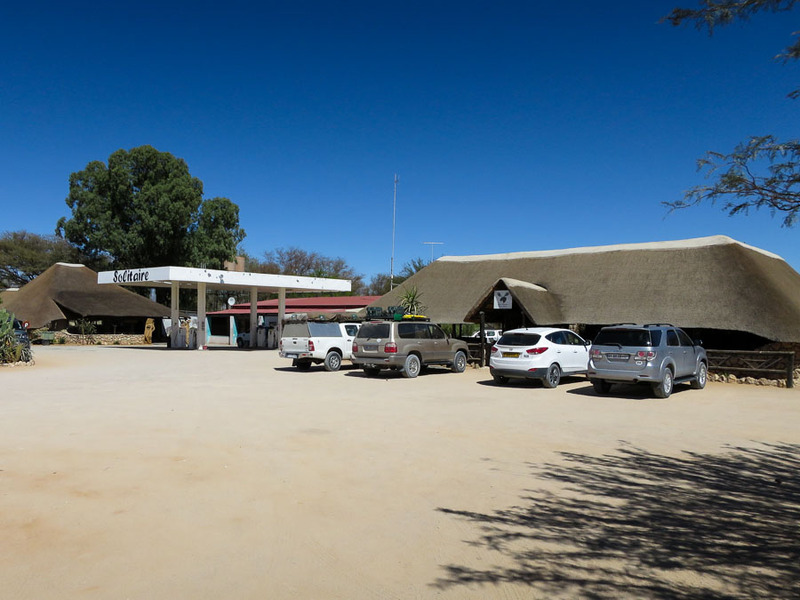 We were then on to the final stage of the road trip – Etosha National Park. We were heading into the Western Gate which is a less common approach and staying on the Western side for 2 nights. The campground itself was not signposted and we drove past it initially. 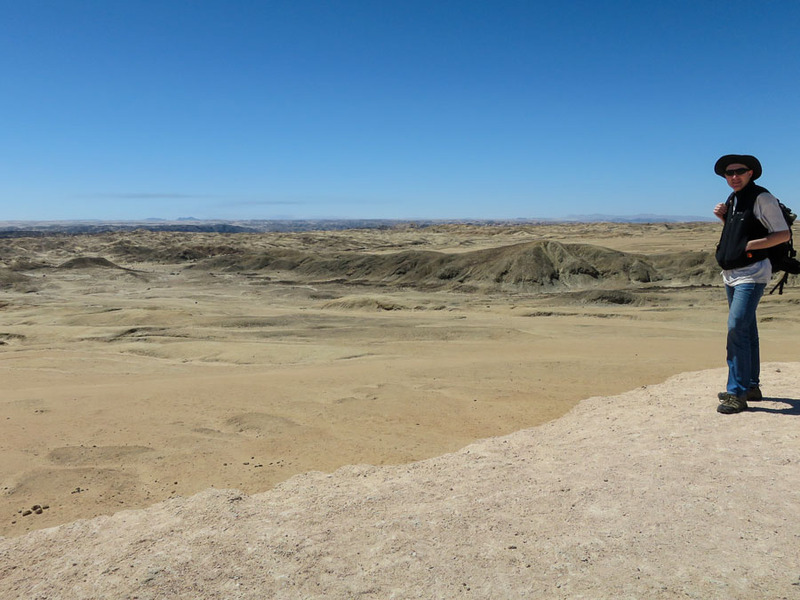 It was largely treeless and somewhat desolate. But I guess if you’re going to put a campground in the middle of a national park you’re not necessarily going to get a picturesque spot. The camp had a hide next to the (man-made) waterhole and when we arrived there were 2 elephants in having a bath. 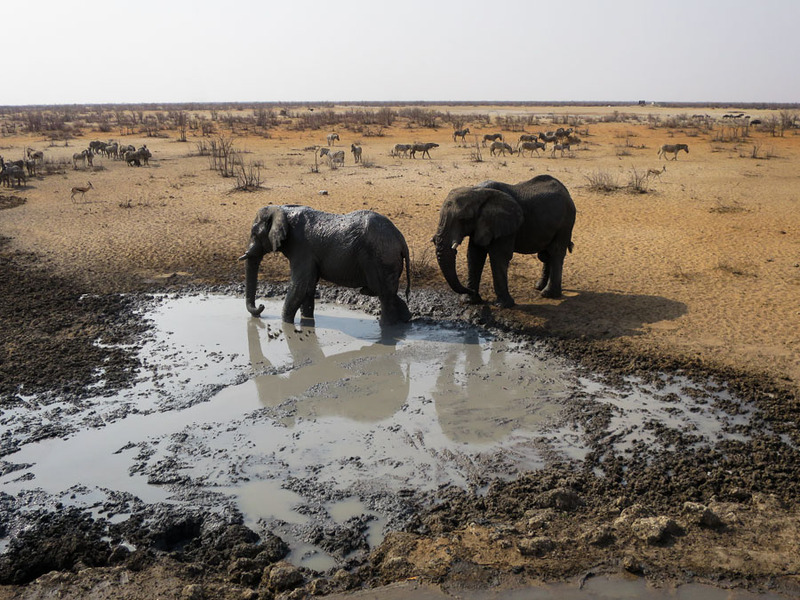 Elephants visit the waterhole next to the hide at Olifantsrus Camp. Olifantsrus Camp from the walkway out to the hide. Our car is the ute closest to the fence. 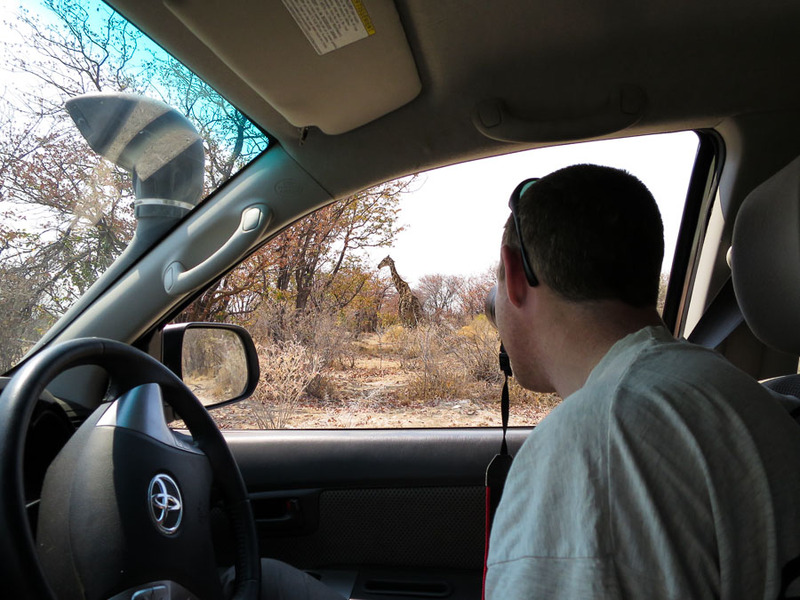 Our time at Etosha was spent looking at (or looking for) animals. 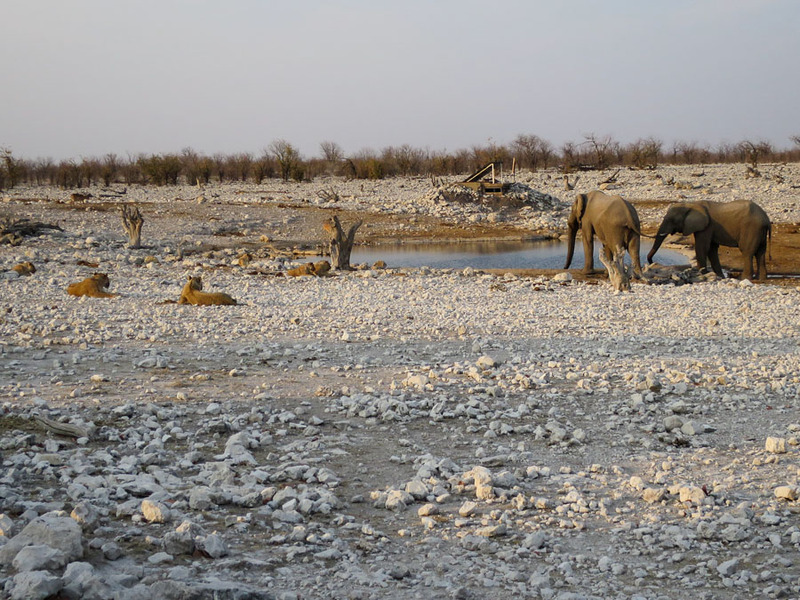 Etosha has many man-made waterholes which means finding animals is relatively easily. Basically drive to waterhole, chances are there’ll be something there. 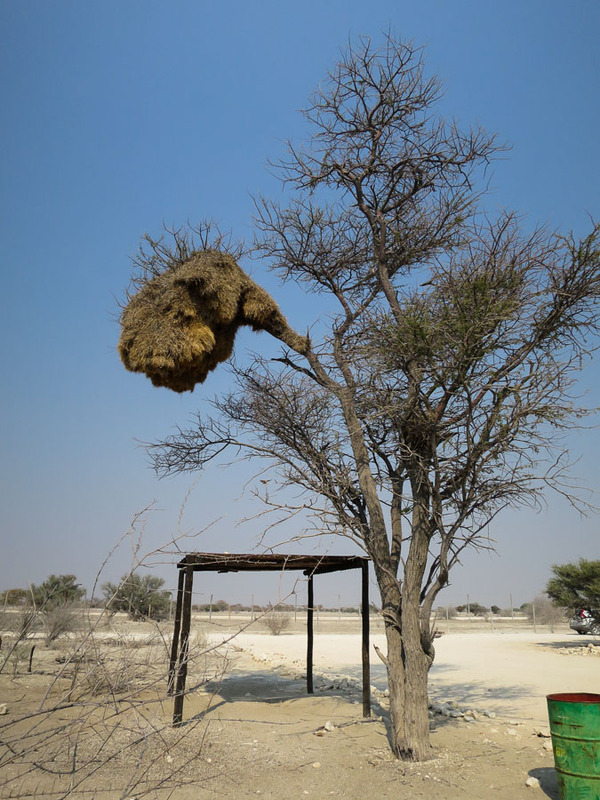 There were two main highlights from Etosha. 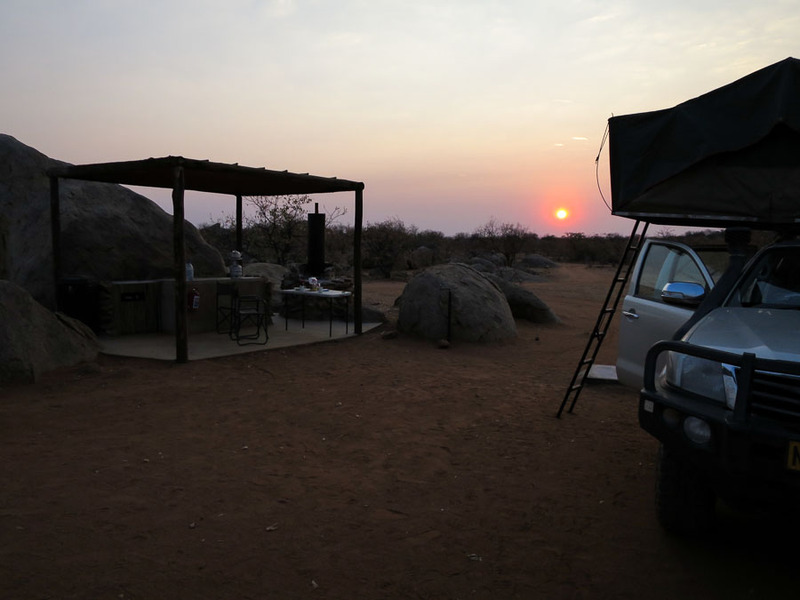 The second night that we stayed at Olifantsrus Camp we decided to head out to the hide later in the evening. The waterhole is floodlit, we had been out the previous evening and seen nothing so weren’t expecting much. We’d been sitting there in the dark for half an hour with nothing showing up. I was just about to call time and head for bed when a hyena appeared, with a cub. Kind of interesting as we hadn’t seen any hyenas up to that point. Then another hyena appeared. Cool. Then a rhino ambles out of the bushes. 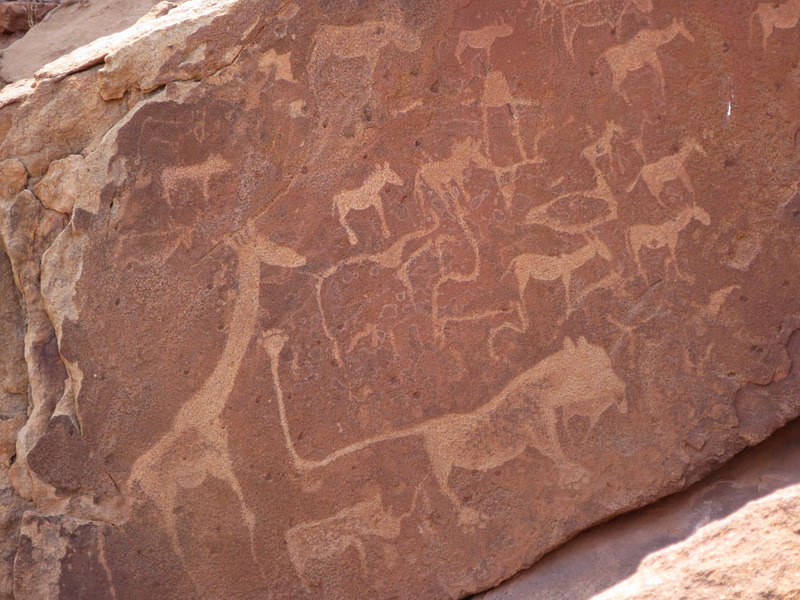 About the same time the hyenas start having a fight (out of the lit area but they made plenty of noise). That freaked out the rhino, bugger. Hyena fight moves ‘on stage’ and then peters out when one concedes defeat. The rhino reappears, awesome. Hang on, here’s 3 more rhinos from stage left (including mum & baby)! Oh wait another rhino stage right. We spent the next hour or more watching the rhinos drink, huff & puff a lot, have mud baths (baby still getting the hang of that one), scratch up against trees and scare off anything else that thinks getting drink about now is a good idea. Back at the car depot – all in one piece but pretty dusty! 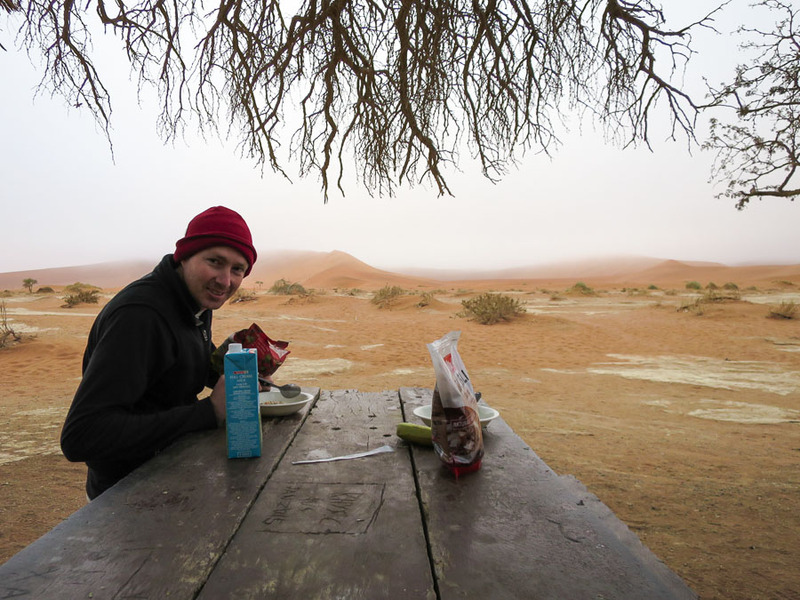 We had thought we were being a bit ‘different’ going to Namibia… not if you’re German! 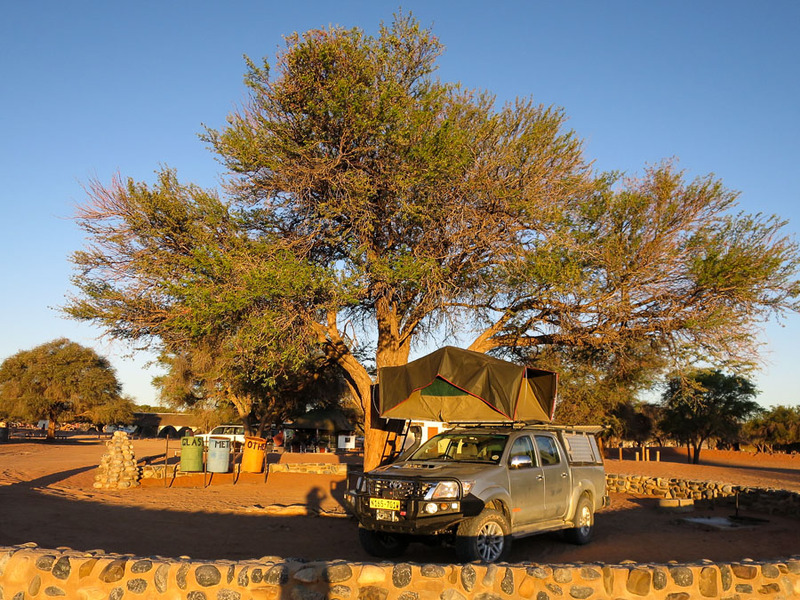 It seemed half of Germany was doing the same thing as us – our route was, as it turns out, a fairly unoriginal loop south to Sossusvlei, up the coast to Swakopmund, through Damaraland to Etosha National Park and then back to Windhoek. All up we covered 2,650km over 11 days.